A stock of materials and products are at an intermediate stage between the original raw material and finished product. This inventory includes the value of the raw material plus the work invested, supporting documents, electricity, supervision and other direct expenses. Here is how a company can effectively calculate their work in progress inventory to include with their bookkeeping. The size of product inventory in the production process stems from the nature of the production, length of the production line, and planning and technological means available to the firm. Since this category can include products of any degree of processing, the extent to which the product inventory is processed should be defined in the process and evaluated for effective calculation of work in progress. The inventory of products in the process is estimated by two methods. The first method works by conducting calculations from the bottom according to the cost of the raw material plus costs incurred by the firm until its processing stages. The second method is to calculate the selling price minus gross profit and completion expenses, up to the condition of a final product. Work in progress (WIP) refers to halfway finished goods that are still in the production procedure. The work in progress does not include raw materials or finished goods. Work in progress normally involves an estimation of raw materials required for an item. As the raw materials are included in an initial stage of the production process, they are automatically included in the cost of extra processing as each unit progresses through the different manufacturing steps. Work in progress is useful in providing an estimate for the finished goods throughout an accounting period. The estimation helps the company in determining a valuation to measure the inventory of items that are currently held within the production lines for effective calculation of work in progress. Work in progress is one of the three types of inventory that also includes raw materials and finished goods in bookkeeping records. Work in progress might be accounted for on the balance sheet for each accounting period. It is difficult to calculate the exact cost of a work in progress inventory as there may be many products that are considered work in progress in different phases of production towards the end of the period. To make the bookkeeping process less demanding, some organizations finish all their work in progress inventory and move them into finished goods inventory before closing the books. This type of bookkeeping is useful because it means that there is no work in progress inventory to represent. An option is to allow a standard level of function for every task related to the work in progress inventory. The theory is that a healthy level of finishing products will be around redress of when the products arrived at the midpoint. 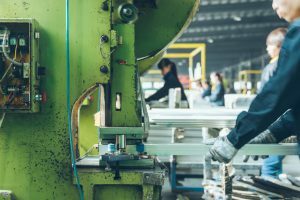 From a traditional viewpoint, businesses are in an increasing prominence on reducing the measure of work in progress units in the manufacturing process at any one time. By lowering work in progress, they need to reduce the manufacturing processes that lead to damaged goods in the production line for an effective calculation of work in progress. Minimal work in progress investment is a basis for just in time manufacturing. An inventory structure is required before a product is sent onto a production process to guarantee an even stream of goods. From a borrowing point of view, some banks will enable work in progress to be utilized as insurance for advances since incompletely finished inventory is troublesome for them to offer in case of the borrower defaulting on their loan, unless it is near fruition.